Can a food that's so dependent on texture--like a pecan pie--be possible and achievable without the use of eggs? Believe it or not...yes! And this recipe is totally doable and delicious! What's even crazier is that this pie is super easy to make. 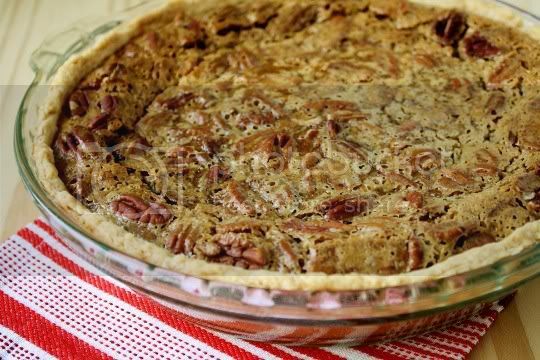 You may think unorthodox things need to happen in order to achieve the standard pecan pie filling texture, but that couldn't be further from the truth. The crust is ready in no time, and the filling is all taken care of in a matter of minutes in the blender. 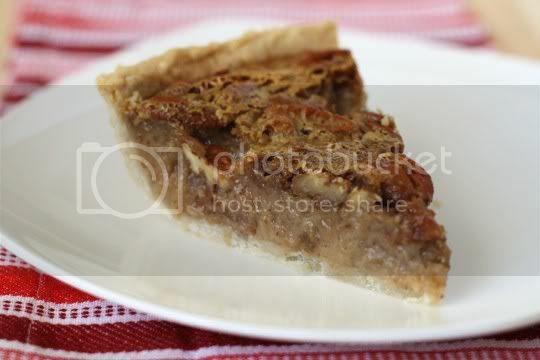 Although the pie crust is simple in flavor, it's light, super flaky, and moist. Depending on how thin or thick you roll it out, it can be a little dense, but it does act as a very sturdy crust for heavier or fruit-based fillings (perfect for those pies that tend to get soggy bottoms). It's actually a good thing that the flavor isn't overly complicated; it serves as the perfect vessel for the delicious and richly flavored filling. And let's talk about that filling. Ooey, gooey, maple-y, sweet, and sticky. It's thick and almost pudding-like. For a pecan pie, it's light and airy...but don't be fooled, you only need a sliver of this pie to sate your sweet tooth. The toasted pecans add a soft and chewy "crunch," and their rich nuttiness is perfect with the sweet filling. Aside from a slight "planty" taste (from the flaxseeds), this vegan version of the classic dessert tastes just like the real thing. It might not be able to completely pass, but it's definitely worth making (and eating!). Make again? Yes. This is a surefire, go-to swap for a classic dessert. In a large bowl, combine flour and salt. Add shortening and cut in using a pastry blender, until the mixture looks like large crumbs. 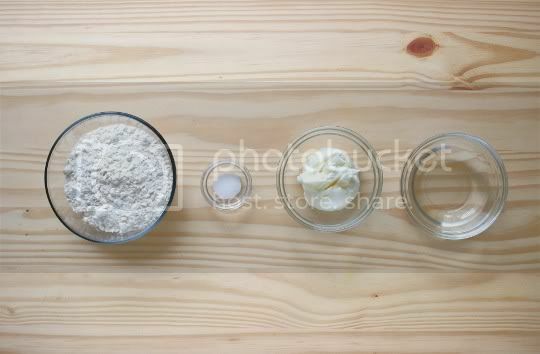 Add water, and gently mix just until a soft dough begins to form. Divide the dough into two even balls. Flatten into discs, and wrap in plastic wrap. Refrigerate for 30 minutes to an hour to chill (the other dough can be frozen for later use). Makes enough for two 9- or 10-inch pie crusts. Preheat oven to 350 F. In a blender, combine first 8 ingredients (butter through soy milk). 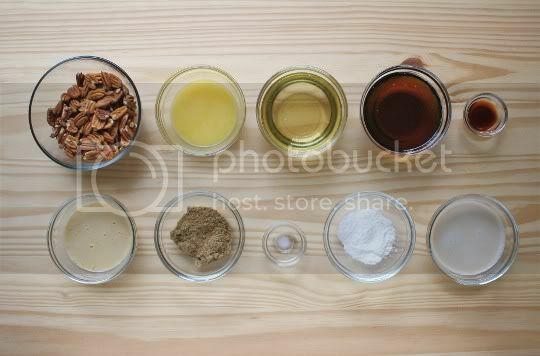 Blend for 3-5 minutes until smooth and completely blended; set aside. On a well floured surface, roll out pie crust to fit a 9-inch pie dish. 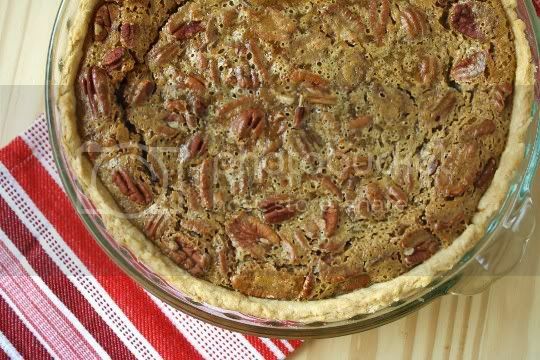 Spread pecans evenly on bottom of crust. 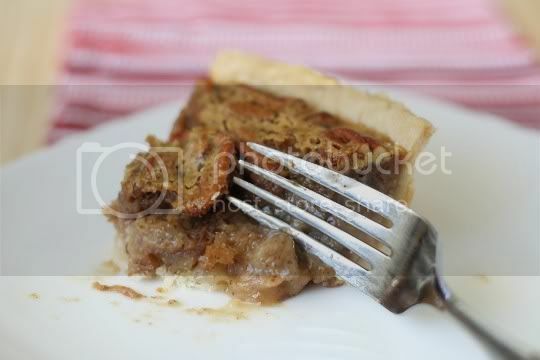 Pour blender mixture carefully into pie crust. Bake for 60-70 minutes on baking sheet, until top is browned and slightly puffy and the center barely jiggles. Cool completely on a wire rack, cover, and refrigerate overnight before serving.